Musicians have both technical and creative mind frames. Part of them needs to come up with new and melodic sounds, and the other part needs to know how to make the music sound how they want it to. A lot of musicians just have a passion to learn as much as they can. Always filling their brains with new ideas and new ways to think about things. That is also the goal of some university students, to learn new ideas, and learn new ways to think about things. These 8 musicians are both successful with their music career and successful in obtaining a secondary education; and for a few that means also working in the field they received a degree in. 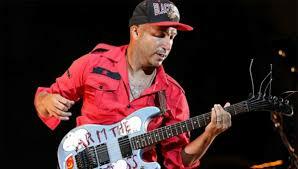 Tom Morello is the ever famous guitar god of Rage Against The Machine, Audioslave, and recently, The Prophets Of Rage. Morello is known as one of the most creative and experimental guitar players the world has ever seen. One of my personal favourites as well. Morello’s degree may not be the most exciting but there’s a kicker. He has a Bachelor of Arts degree, maybe a bit typical for an artist. But Tom went and graduated from the prestigious Harvard University. If you didn’t know, Harvard is a big deal. It seems almost ironic that a member of one of the most controversial anti-the-man bands has a degree from Harvard. But the activists of the world need more of this, have to fight the powers that be, with brains. This name might not be familiar, at least for anyone maybe under the age of 20-25? 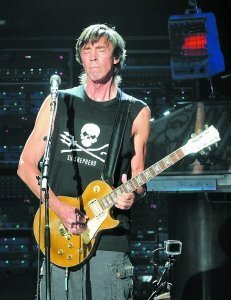 But Tom Scholz is the guitarist for the band Boston. Scholz is an incredibly accomplished individual. Boston is a huge band, incredibly successful: over 75 million albums sold! And they’ve been playing since 1970. 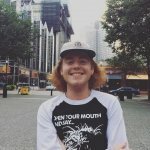 Tom’s schooling could be responsible for the bands success in the beginning. He graduated with a masters degree in Mechanical Engineering, from MIT! When Scholz graduated, he started working for Polaroid. With the money he made from Polaroid, he built himself a recording studio in his basement and thats where Boston recorded their fist demos. Scholz is credited as an inventor after his work with designing and building his own guitar pedals to get the perfect sound for Boston. The engineering genes run in the family as Scholz son also has a degree from MIT in mechanical engineering and the kid has designed his own guitar pedals as well. 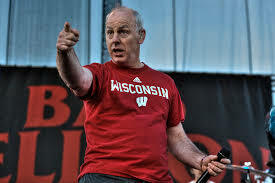 Greg Graffin is the lead singer and primary songwriter for the legendary band Bad Religion. Bad Religion is an incredible punk band with 16 studio albums! This group also obtained a cult like following in the early years, after they formed in 1980. 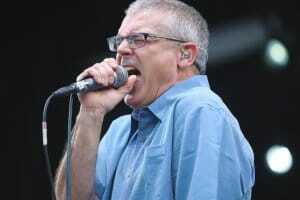 Graffin has been credited with writing lyrics that span many different topics including Philosophy and Politics. Graffin received a PhD from Cornell University in the History of Science. He received both his undergraduate and masters degree from UCLA. Graffin has lectured in courses at UCLA, and at Cornell. As a bonus fact, a guitarist who has been in and out of the band for many years, Brett Gurewitz, formed Epitaph Records. 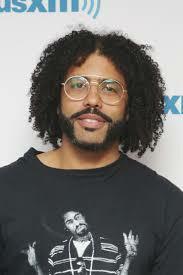 Daveed Diggs is a multi-talented artist who is both a rapper and theatre and film actor. He is the MC of clipping. Clipping is an experimental hip-hop group who formed recently compared to the previous bands as they formed in 2010. As a stage actor, Diggs is well known for being the original portrayer of Thomas Jefferson, and Marquis de Lafayette in the production of Hamiltion, for which he also won a Grammy and a Tony Award. Diggs also co-starred in the film Wonder and wrote, produced, and starred in the recent film Blindspotting. Diggs attended and graduated from Brown University with a degree in Theatre Arts. Obviously Diggs has put it to good use! Also known as Childish Gambino, Donald Glover has been under the eye of the world since 2006 when he impressed Tina Fey and David Miner with his comedy writing, and was hired to write for the TV show 30Rock. He then went on to act in the shows Community (personal favourite) and Atlanta, as well as a few movies. Gambino has made it big recently with his music and his last full length album Awaken, My Love. 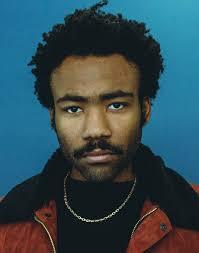 Glover has been making music since at least 2011 when he signed his first recording contract. Donald Glover shockingly has a degree in… Dramatic Writing, which he received from the New York University Tisch School of the Arts. His degree allowed him to pursue what he wanted and gave him the break he needed. 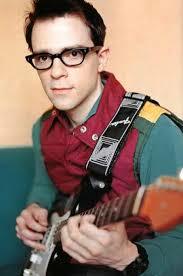 Rivers Cuomo is the lead singer and rhythm guitarist of the band Weezer. Making some of the most loved alternative and rock music ever made, Weezer blew up in 1994 with the release of their debut album titled The Blue Album. As you probably all know, Weezer is still recording and performing today, with a new album set to come out in March of this year. Cuomo is a bit different than the others on this list, has he took a long break from his studies after the first decade of success with Weezer, but Rivers completed his Bachelors Degree in English from Harvard University in 2006. The same guy who wrote “higher education is the key to escape, but I never learned to roll a joint” has an English degree from Harvard. (I don’t understand his meaning behind writing that lyric and it bugs me). 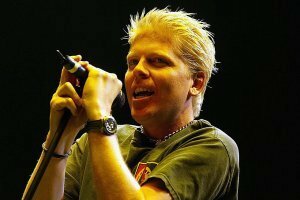 Dexter Holland is the lead singer and rhythm guitarist of none other than the Offspring. The Offspring are one of the best-selling punk bands of all time with over 40 million records sold. Surprisingly enough, the same guy who wrote “pretty fly for a white guy”, has a PhD in molecular biology the University of Southern California. Holland has been working as a biologist off and on over the years and from the research done for this article, seems to be the only one has been published in an academic journal. Holland was also his high schools Valedictorian the year he graduated. A bonus fact for Holland is that he has his own hot sauce brand, which you can purchase on Amazon. I was born and raised in Alberta, Canada. Currently attending Grant MacEwan University, majoring in Journalism and minoring in Sociology. I decided on journalism because of my interest in music and film reviewing and I’m constantly inspired by music and movies.